Five islands have disappeared in the Pacific’s Solomon Islands due to rising sea levels and coastal erosion, according to an Australian study that scientists said Saturday could provide valuable insights for future research. A further six reef islands have been severely eroded in the remote area of theSolomons, the study said, with one experiencing some 10 houses being swept into the sea between 2011 and 2014. 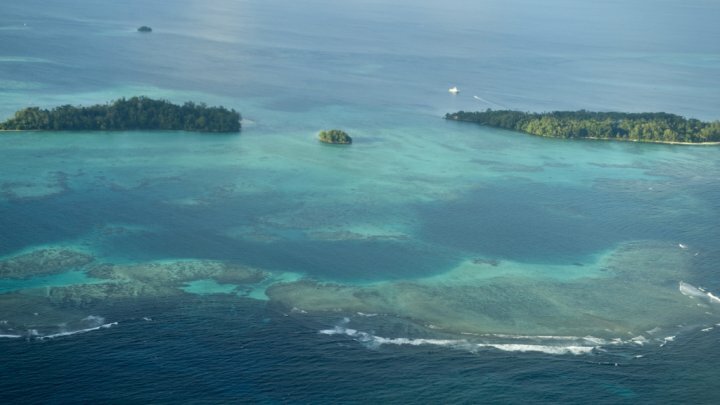 “At least 11 islands across the northern Solomon Islands have either totally disappeared over recent decades or are currently experiencing severe erosion,” the study published in Environmental Research Letters said. The scientists said the five islands — Kakatina, Kale, Rapita, Rehana and Zollies — that had vanished were all vegetated reef islands up to five hectares (12 acres) that were occasionally used by fishermen but not populated. “They were not just little sand islands,” leader author Simon Albert told AFP. It is feared that the rise in sea levels will cause widespread erosion and inundation of low-lying atolls in the Pacific. Albert, a senior research fellow at the University of Queensland, said the Solomons was considered a sea-level hotspot because rises there are almost three times higher than the global average. The researchers looked at 33 islands using aerial and satellite imagery from 1947 to 2014, combined with historical insight from local knowledge. They found that rates of shoreline recession were substantially higher in areas exposed to high wave energy, indicating a “synergistic interaction” between sea-level rise and waves, which Albert said could prove useful for future study. Those islands which were exposed to higher wave energy — in addition to sea-level rise — were found to have a greatly accelerated loss compared with the more sheltered islands. “This provides a bit of an insight into the future,” he said. For now, some communities in the Solomons are already adapting to the changed conditions.